My favorite this year was Beautiful Creatures but Shiver came in a close second. Shiver was definitely one of my favorites with The Gargoyle coming right next to it. I am looking forward to Hate List and... brain freeze. There are too many to choose! I haven't read Shiver yet, but I'd like to. I just finished Beautiful Creatures and loved it. Catching Fire was wonderful too. Darklight was another good sequel. 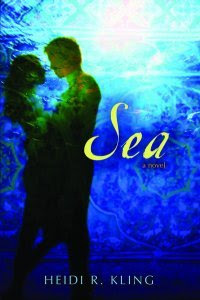 Most anticipated book for 2010 would be Touch Blue, an MG novel by my neighbor Cynthia Lord. Her debut novel, Rules, won a Newbury Honor and was fabulous. I also can't wait to read the sequel to Catching Fire. I actually think The Monstrumologist by Rick Yancey just might have been my favorite for this year. For 2010... I really am looking forward to Spirit Bound but as for debut author releases, definitely Incarceron or Prophecy of Days. Hmm, will have to give this some thought! 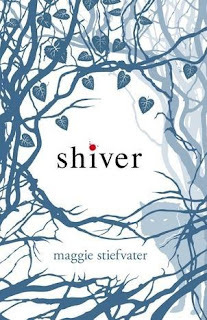 I do really need to read Shiver, I've recently added it to my neverending book list because I keep hearing about it! My favourite would be Still Alice by Lisa Genova and most anticipated is Thaw by Fiona Robyn. I just got a copy of Shiver and hoping to read it soon. Shiver is indeed an amazing book. Oh I loved, loved, LOVED Shiver. It was such a beautiful book, in both a literary and aesthetic sense (the gorgeous cover is what initially drew me in). 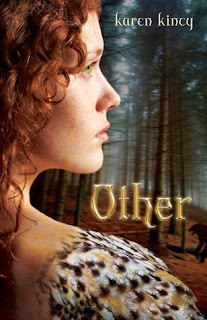 I think my most anticipated books (I can't choose just one) for 2010 are Linger (obviously!) and the third Hunger Games book. Bring on the new year!